Lashkar-e-Taiba (LeT) militant Abu Qasim, the mastermind of the Udhampur attack on a BSF bus on August 5 and a most wanted militant commander, has been killed in a gunbattle in Jammu and Kashmir, police said on Thursday. 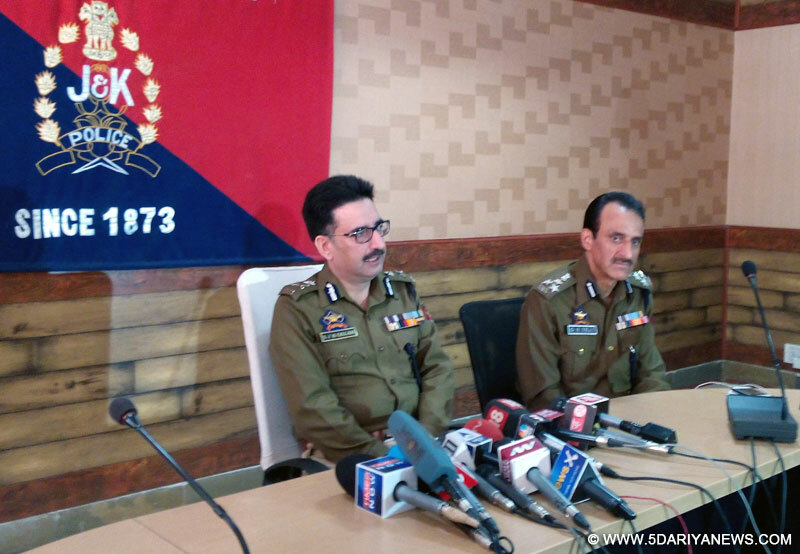 "Abu Qasim, the operational commander of the LeT, was killed during the night in an ambush by the security forces in Khandaypora village of Kulgam district," a police officer told IANS here.A police official said that the killing of Abu Qasim was a major success for the security forces in their ongoing operations against insurgents in Jammu and Kashmir.Security forces laid an ambush following specific information about the movements of the LeT commander. "Abu Qasim, whose real name is Abdul Rehman and was a resident of Bahawalpur district of Pakistani Punjab province and was one of the most wanted militants active in Kashmir for the last five years. "He was neutralized (killed) by security forces at around 2 a.m. today in Kulgam district and his death is a major blow to separatist insurgency in the state", said Syed Javaid Mujtaba Gilani, inspector general of police Kashmir zone at a press conference here.A resident of Pakistan, Abu Qasim was the mastermind of the Udhampur attack in which two BSF personnel were killed and 11 others injured, he said. One terrorist was killed on the spot while another, Naveed was apprehended by villagers and handed over to police after he escaped from the site where the two LeT terrorists had carried out the attack. The National Investigation Agency (NIA) is investigating the case. Naveed and two local accomplices are all currently in a jail in Jammu.Giving details of the operation, Gilani said on a specific tip-off a joint team of state police and army's counter insurgency Rashtriya Rifles launched a cordon and search operation in Khandaypora village of Kulgam district in South Kashmir on Wednesday evening. "We had inputs that Abu Qasim may be hiding in Khandaypora village. He tried to break the cordon and was killed in a brief gunfight which lasted for few minutes only. "His other accomplice managed to get back due to darkness, but cordon is intact and we are hopeful that we will get him," the senior police officer said. He said Qasim was either directly involved or brain behind the actions carried out by LeT in the last three years in Kashmir division. "He was also in a working relationship with other militant organization particularly Hizbul Mujahideen and his death is not only a blow to LeT, but to all such groups in the state", he added. "He (Qasim) was involved in killing of a top counter-insurgency cop, Muhammad Altaf Dar earlier this month and also in August 5 Border Security Force convoy attack at Udhampur. "He was also the brain behind the 2013 ambush attack on army convoy at Hyderpora Srinagar in which eight troopers lost their life," he added.Gilani said after the death of Qasim the operational capacity of LeT has been dented to a "large extent" and congratulated security force personal who took part in the gunfight. "This is a major success, but we can't lower our guard till all terrorists are eliminated".